Successfully Added 5 Megapixel Handheld Digital Camcorder - SD MMC to your Shopping Cart. 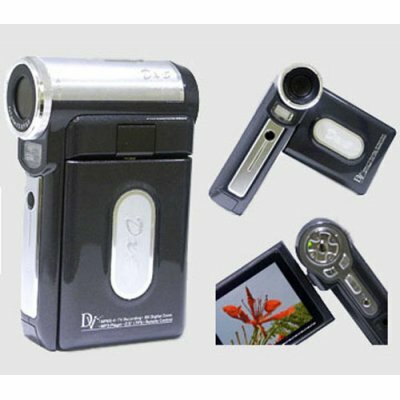 Great chinavasion new Digital Camcorder product with 2.5 inch TFT LCD display and max. resolution of still image is 11Mega (Interpolated). It is compatible with 2GB max SD/MMC card and with 8 x digital zoom. Features high quality 5.0 Mega CCD Image Sensor and includes PC camera function. It is able to connect with computer by USB 2.0 PC interface and operate it easily by remote control..